General TV Channel / For a non-violent radical political change in Algeria. 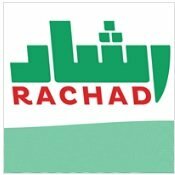 Rachad is an Algerian political movement. Its stated objective is to break with political practices in place since independence and ensure, through "non-violent means", that the Algieran state complies with "the rule of law", democratic legitimacy and participation and "good governance". It calls upon the Algerian people to overthrow the government by peaceful mass protests, arguing that the government is controlled by a military junta largely responsible for the horrors of the Algerian Civil War and for the country's economic and social malaise. The movement has the reputation for having a high "intellectual calibre of the leadership" and for transcending the gulf between secular and Islamist politics.